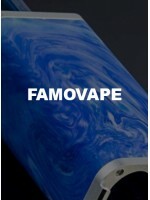 YUP RDA by FamoVapeThe Yup RDA is the first and newly released 24mm gold plated post RDA that has a .. Bit Box 218W Mod by FamoVapeBit Box is a dual 18650 battery mod which support 5 control style. The u..